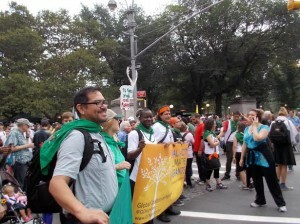 Dena Hoff of NPRC/NFFC/Via Campesina, other NFFC members and NFFC staff were among the multitudes participating in various events at last weekend’s Climate Summit. Kathy Ozer spoke Friday at the Church Center for the United Nations on behalf of the International Day of Peace; Dena Hoff participated in a Saturday workshop panel “Cook Organic, Not the Planet” at St. John’s University, and walked on Sunday walked with Carlos Marentes, Jr., of Via Campesina N.A, Lisa Griffith and other Via representatives in a large contingent of Frontline communities including Indigenous and Immigrant food providers, and populations displaced or otherwise severely affected by climate change. 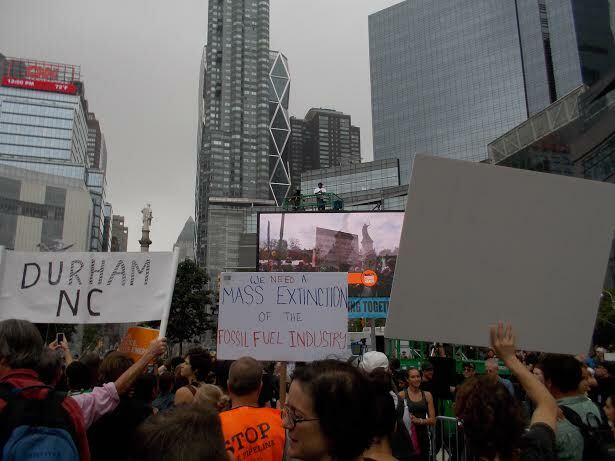 Savi Horne (LLPP), Brett Tolley (NAMA) and many US Food Sovereignty Alliance members were also part of the masses seeking to wake up world leaders about the need for government intervention and corporate inclusion to address climate change. 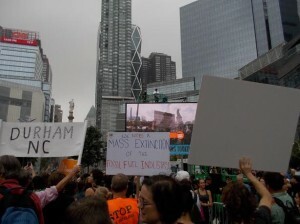 Please Read this article at Civil Eats which summarizes the messages of the Climate Summit events.